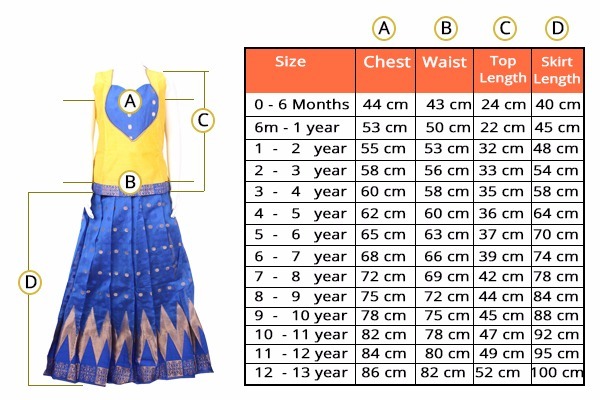 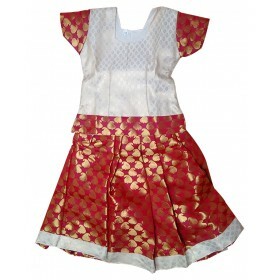 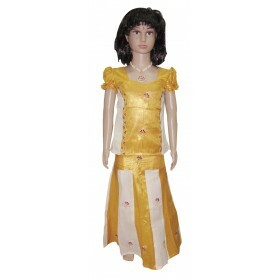 Kerala traditional wear for your little cute girls to make them pretty in their best day, we introduce a new model of traditional pattu pavadai to make them princess. 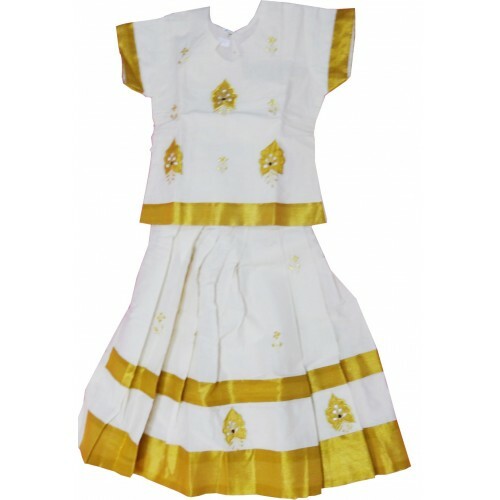 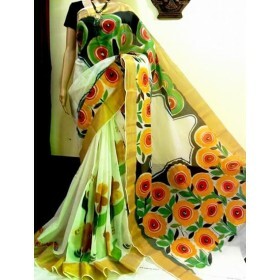 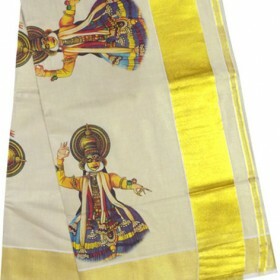 This is off white pattu pavadai having large golden floral design along with small golden floral design and border on top which makes amazing. 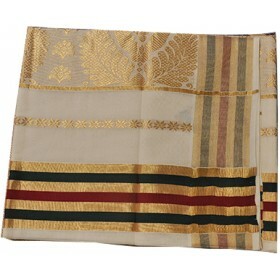 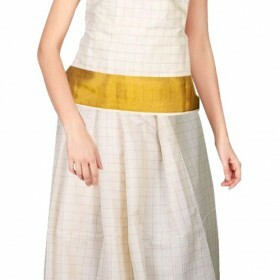 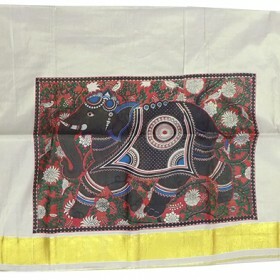 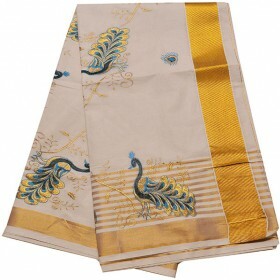 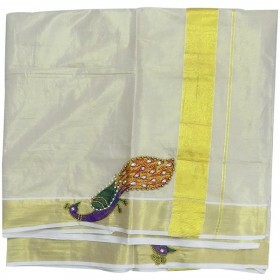 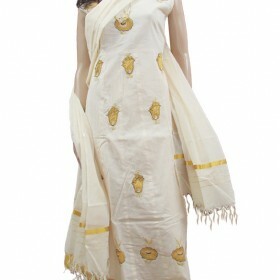 The bottom part has golden border and floral design which makes it rich.